New Mexico Long Term Disability Lawyers | Keller & Keller over 1 in 4 of today’s 20 year-olds will become disabled before they retire. Some disabilities caused by accident or workplace injury may place an individual off of work for a few short weeks or months. A severe injury requiring a major surgery or a cancer diagnosis may put someone off for several months or years. Most people cannot maintain without their income. That is where LTD comes in to play; by supporting the injured person until they can get back on their feet. For a set period of time—such as 24 months—the claimant must prove they are disabled from performing the duties of "any occupation". The insurance company may also claim your disability didn't last for the entire "elimination period". The elimination period is a set amount of time (typically 90-180 days) that a claimant must prove to be disabled before they are eligible for benefits. Many policies have limits on the amount of time benefits can be paid for mental health. If you have filed for LTD and have received a denial, it may be time for you to hire an experienced New Mexico Long Term Disability Attorney. If your claim has been denied, you will receive a letter from the insurance company or claims adjuster informing you of your appeal rights. It is important to consult with an attorney before filing an appeal on your own. There are stringent deadlines in which to submit an appeal, where to send the appeal and which documentation is needed. If you fail to appeal in a timely manner, your claim for LTD will be forfeited. 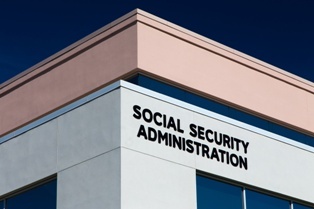 ERISA or Employee Retirement Income Security Act governs most private long-term disability benefits. For LTD claims that fall under ERISA, the appeal process is the only time that an individual has an opportunity to produce evidence to refute the denial. Submitting a handwritten appeal without any supporting medical records or documentation to explain why the denial is wrong, is a devastating mistake. It is not uncommon for an appeal to be denied. At that point, the only recourse is to file a lawsuit in federal court. When a case is filed in federal court, the court looks at what was submitted with the appeal. If the court finds that the insurance company had insufficient documentation on appeal they often will refuse to look at the new medical evidence and support the appeal findings. The appeal process is crucial to the success of a disability insurance claim. A skilled attorney at Keller & Keller can thoroughly review your case and submit a persuasive appeal letter to the insurance company or administrator. The experienced team of attorneys at Keller & Keller are dedicated to fighting for wrongfully denied long-term disability benefits. With years of experience, Keller & Keller is the New Mexico firm you need on your side. We offer a Zero Fee Guarantee, meaning that you will never pay for a consultation and the only way we are paid is if you receive your disability benefits. Complete the form on this page or call us today to get started with your free, no-obligation consultation.